Manatees look cute, yet I knew a little about this animal. With some exploration, I find some quite interesting facts about manatees. Here we go. Manatees are believed to have evolved from land-dwelling creatures more than 50 million years ago. They have a fingernail at the end of their flippers which is thought to be a leftover from their terrestrial days. Manatees range from about 8 to 13 feet long and can weigh up to 1,300 pounds. Manatees are the only aquatic mammal herbivores. Their diet consists mainly of sea grass, marine plants and algae. They are huge eaters, consuming one-tenth or more of their body weight in plants each day. Since manatees require water temperatures of at least 60 degrees Fahrenheit, they inhabit shallow waters where temperatures are higher and sea grasses grow thickest. Like other sea mammals, manatees need to surface to breathe. They can stay underwater for 15 to 20 minutes when resting but must surface at minimum every 5 seconds when active. Manatees have no natural predators, but human interference, such as collisions with boats, kills large numbers of them. 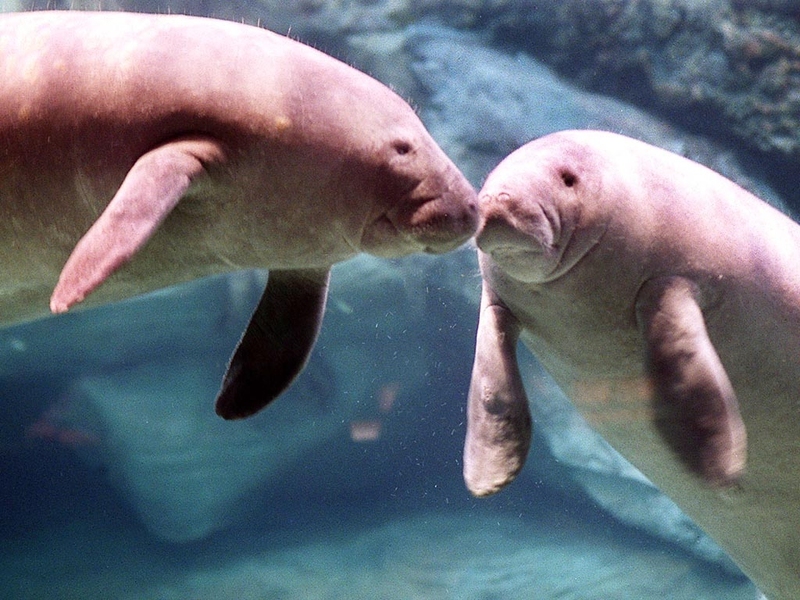 Manatees have been on the federal endangered species list since 1967. Server responsed at: 04/26/2019 4:02 a.m.